Checking up on things to my megademo post – to make sure I wasn’t forgetting anything – I came across a demo that I haven’t seen in a long long time. It was created by Rebels and was released at the Dexion Christmas party in late December 1990. All packed with copper effects and with a different kind of scroll text. The music was made by Static and is a great tribute to both Dance and Acid. 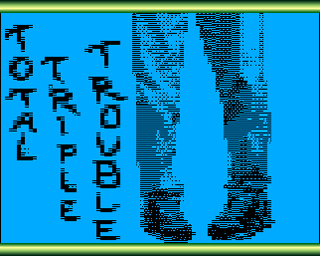 This entry was posted in group and tagged demo group, group, music amiga, rebels, static, total triple trouble by Thomas. Bookmark the permalink.